How you respond to a person. What you think about when you're alone.The actions you take. They are all a part of spiritual warfare. It is the struggle we face everyday. It's the fight that matters. On Sunday February 17, 2019, Pastor Chad Gilligan concludes his Essentials sermon series with How to Fight to Win. Do you feel like you are still weighed down by life and sin? God wants so much more for you. He has destined for you to live a life of freedom, faithfulness, and fruitfulness. On Sunday, February 10, 2019, Pastor Jordan Moore speaks on the Fruit of the Spirit and the freedom that can be found in living a Spirit-Led life.  On Wednesday, February 6, 2019, Calvary kicked off their 1st Wednesdays with an in-depth teaching on Spiritual Gifts. Whether it is to serve, teach, believe in faith, or encourage, if you feel a calling on your life, God has already equipped you with everything you need. The Holy Spirit gives gifts to every believer to help them accomplish God’s purpose in their lives. It’s time to no longer sit on the sidelines, but to act in faith, and see what incredible things God can do through you. On Sunday, February 3, 2019, Pastor Chad Gilligan speaks on spiritual gifts and the empowering and equipping of the Holy Spirit in our lives. You are ready to walk and live by the Spirit. You are ready for His purpose, power, and calling in your life. You are ready for more. But are you ready to give your all? When you invite the the Spirit of God to move in your life, you are also inviting Him to dwell in your life. On Sunday, January 20, 2019, Pastor Chad Gilligan speaks on what it means to be a Temple for the Holy Spirit. Often times, when we pray, we ask for more of God without even considering what God could accomplish if we gave Him more of us. When we refuse to be led by the Holy Spirit, we not only inhibit God's work in our lives but also His power. On Sunday, January 13, 2019, Calvary welcomes back the President of Northpoint Bible College and long-time friend, Dr. David Arnett. Dr Arnett speaks on the Holy Spirit and what it means for today's believer. 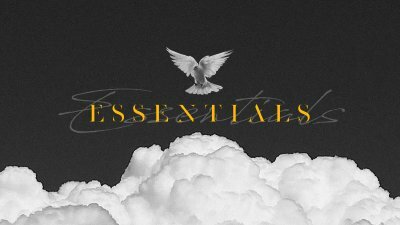 On Wednesday, January 9, 2019, Pastor Chad Gilligan continues his sermon series, Essentials, with a more in-depth look at the baptism of the Holy Spirit and what it means for believers today.